The aim is not to look exactly like a bear, but to get close. That’s the style lesson from The Revenant, Alejandro González Iñárritu’s new film starring Leonardo DiCaprio, which follows a group of fur trappers shlepping through the gorge wilderness of the unchartered mid-west, and touches on betrayal, blizzards and bear violence. It has also created one of the most striking images of awards season 2016 – that of a bearded Di Caprio in a massive fur coat, semaphoring determination, endurance and survival. Since we don’t endorse real fur, and since shaggy faux fur is two-a-penny on the high street, it seems fitting to homage the film that should finally bag the actor an Oscar with a selection of some of the best bearish faux furs right now. They don’t look quite as realistic as Di Caprio’s, but what price ethics? Trademark faux fur coat, £336, matchesfashion.com. 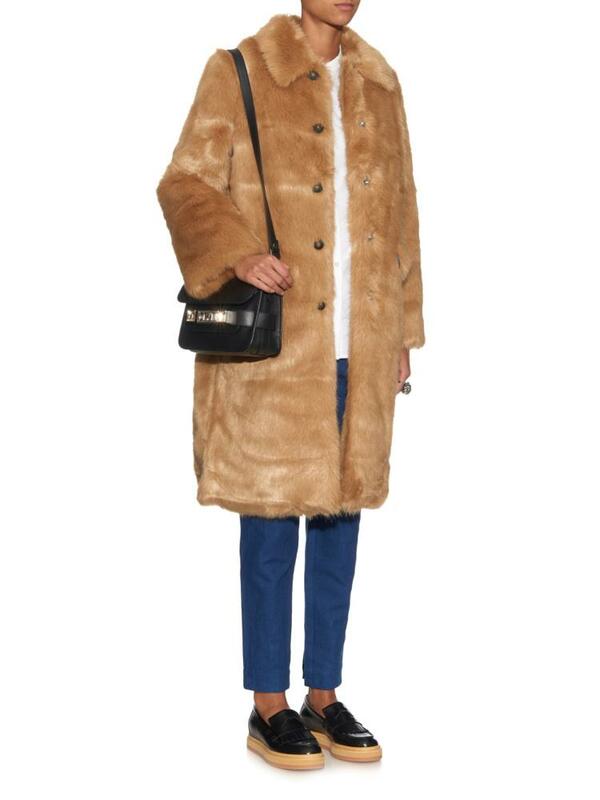 Beige furry coat with leather PU waist tie by Goldie, £52, topshop.com. 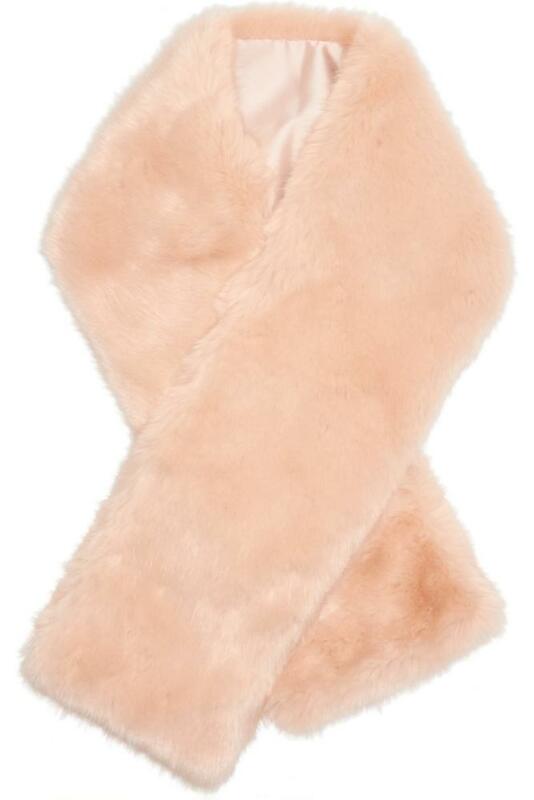 J Crew faux fur scarf, £150, net-a-porter. 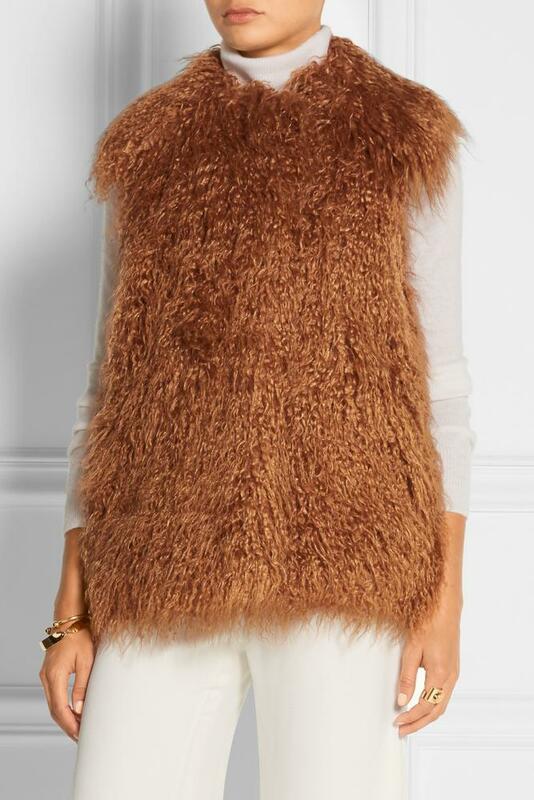 Stella McCartney faux fur gilet, £550, net-a-porter. 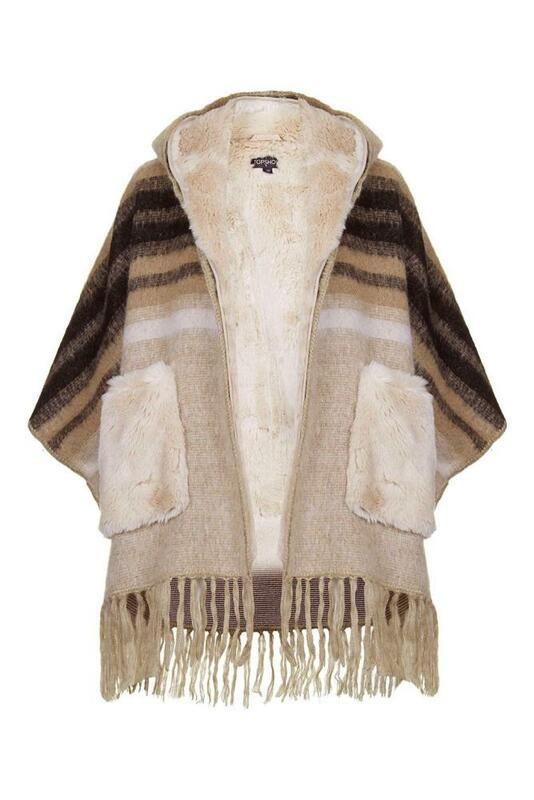 Topshop Faux-Fur Lined Wool Mix Cape, £98, topshop.com.